Granite State progressives proudly stand together to advance the American values of equal opportunity, mutual responsibility, effective government, and the hope for a stronger, better future for all of us. This annual event provides space for new and veteran activists to come together and be inspired by one another as we collectively learn, train, strategize, and mobilize for the issue and electoral challenges and opportunities we face together. This year’s theme is “Resistance to Power.” We are a movement of ideas and action, and the last year has shown what we can achieve when we are focused and organized. We will continue to beat back the attacks on our health care and public education. We will fight for equal rights for immigrants and the LGBTQ community. We will support access to the full range of reproductive rights without stigma or shame. We will demand the clean air and water we all deserve. We will advance strong public safety laws. We will seek a local, inclusive economy that puts working families first. And we will take back our state and elections from powerful special interests and the politicians who aid them. Across the country and our state, people are awake and ready to engage. The time is now for us to own the future of progressive politics. 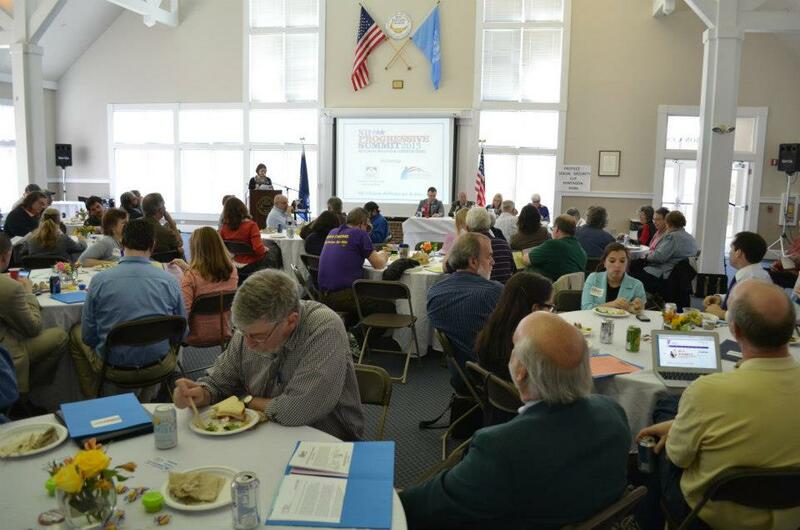 Whether it’s advancing legislation at the state and federal level, guarding against conservative rhetoric, or challenging corporate political corruption of our legislative and electoral process – the 2018 NH Progressive Summit will be an exciting, action-packed day to come together as we shape a bold, new progressive future.